Cute, Barb. Thanks for the temptation. Oh, I think that may be my favorite wool block ever! Barb, will you be doing this one? If so, would you post a reminder each week so we don't miss a pattern? No problem, Nancy. I have reminders set for each week and will post them. I'm not a wooly yet, but may just have to be now! I will ditto all the above comments for myself. 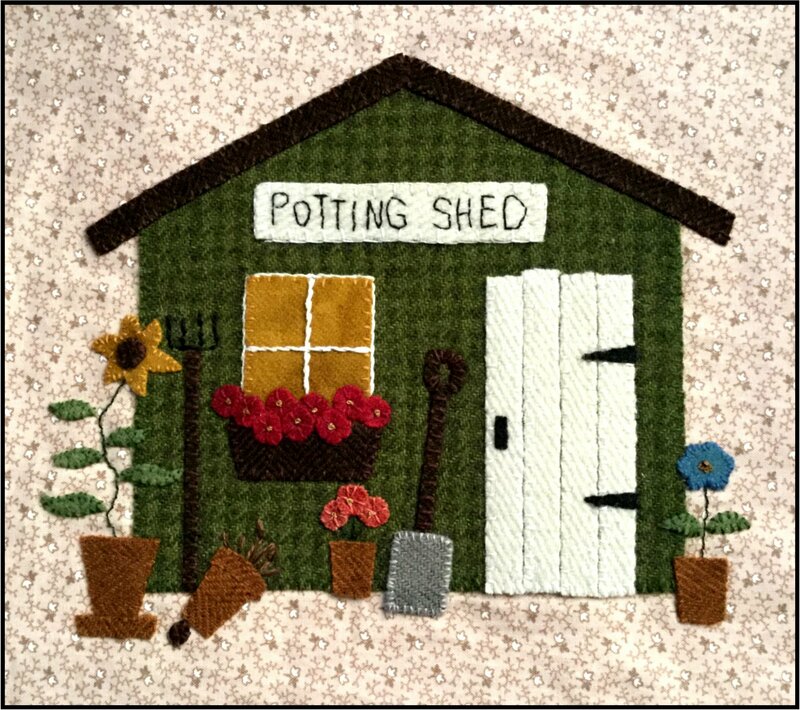 I'm a little hesitant of hand stitching because of hand issues but dearly would love to have handwork other than only counted cross stitch. Before I jump in with a wool order I will be doing some test stitching. Barb--Thanks for that information. I had no idea of the difference. There is no way I could handle something that feels like leather. This weeks link from Heart to Hand. Hop on over to get your free pattern. Hmmm, different designer, different color and look. I think I will brighten these colors so it matches block one better. This one is not as appealing to me. Like Nancy I think I would brighten up the colors from what the designer used, I'm more of a bright and cheery kind of gal. Thanks Barb, for posting the link. I too think at least the flowers need to be brighter.